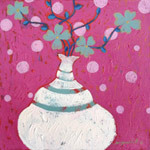 Filling a white vase, green flowers cover the pink canvas. 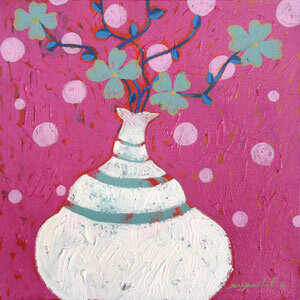 This original painting by Supachet is filled with life. 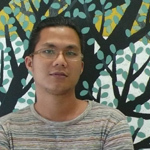 Painted and signed by the artist in 2011.